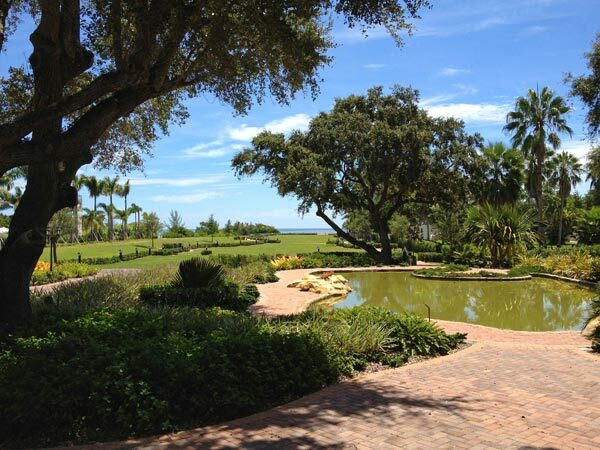 There is no doubt that Thalatta Estate is an amazingly beautiful venue for private events. In the short year or so it has been open, I've seen some impressive weddings and parties occur on the grounds. As a Palmetto Bay resident, I'm glad to see this park poised to "pay for itself." Taken 8/13/12, this photo shows how beautifully Thalatta has bloomed into an outdoor Eden with carefully planned landscaping. Yet, there is another side to Thalatta Estate that makes me wonder if it is functioning properly for its residents... As a tax-payer, I often think about stopping by the park for a beautiful bayside stroll. Unfortunately, I am often greeted by a closed black gate. I don't think this is what our Mayor and council necessarily envisioned in 2006 when they acquired the property with several grants and said, "Thalatta Park will help us put the bay back in Palmetto Bay." In my mind, parks should be open and available. Sure, I love to hear it can also bring in some revenue, but I'd prefer to actually get to visit and use it.